Go mbaineann an gearán le neamhinniúlacht ghairmiúil. Caithfear gearán mar seo a chur chuig an Roinn Oideachais & Scileanna nó An Chomhairle Mhúinteoireachta. Go bhfuil an gearán gan bhunús agus nach mbaineann sé le hobair an mhúinteora. Go bhfuil cás cúirte i gceist. Déanfar imscrúdú neamhfhoirmiúil ar aon ghearán nach bhfuil curtha i scríbhinn agus nach bhfuil luaite thuas. Sa chás seo ba cheart an nós imeachta atá leagtha amach i gCéim 1 thíos a leanúint. Más mian le tuismitheoir/caomhnóir gearán a dhéanamh, ba cheart don tuismitheoir/caomhnóir bualadh leis an múinteoir ranga chun réiteach a aimsiú ar ábhar an ghearáin. Mura bhfuil réiteach aimsithe ar an scéal, ba cheart don tuismitheoir/chaomhnóir bualadh leis an bPríomhoide. Má tá an chúis fós gan réiteach, ba cheart don tuismitheoir/chaomhnóir bualadh le Cathaoirleach an Bhoird Bhainistíochta. 2.1 Má tá an chúis fós gan réiteach ba cheart ábhar an ghearáin a chur i scríbhinn chuig Cathaoirleach an Bhoird Bhainistíochta. 2.2 Ba cheart don Chathaoirleach cúis chruinn an ghearáin scríofa a chur ar a s(hú)ile don mhúinteoir agus iarracht a dhéanamh ar an scéal a bheith réitithe laistigh de 5 lá ón am a bhfuarthas an gearán i scríbhinn. 3.1 (a) Má tá an chúis fós gan réiteach, ba cheart don Chathaoirleach cóip den ghearán scríofa a thabhairt don mhúinteoir. Ba cheart dó/do cruinniú a eagrú leis an mhúinteoir agus i gcásanna áirithe leis an bPríomhoide, chun iarracht a dhéanamh teacht. (b) Caithfear an cruinniú a reachtáil laistigh de 10 lá ón am a bhfuarthas an gearán i scríbhinn. 4.1 Má tá an gearán fós gan réiteach, ba cheart don Chathaoirleach tuairisc fhoirmiúil a chur chug an mBord laistigh de 10 lá ón gcruinniú atá luaite i 3.1 thuas. 4.2 Má cheapann an Bord go bhfuil an gearán gan bhunún caithfear é sin a chur in iúl don mhúinteoir agus don ghearánaí laistigh de 3 lá ó chruinniú an Bhoird. (a) Caithfear a chur in iúl don mhúinteoir go bhfuil an fiosrúchán ag dul ar aghaidh go dtí an chéad chéim eile. (b) Caithfear cóip den fhianaise scríofa a bhaineanann leis an ngearán a thabhairt don mhúinteoir. (c) Ba cheart don Bhord iarraidh ar an mhúinteoir ráiteas i bhfoirm scríbhinne i bhfreagairt ar an ngearán a chur chuig an mBord. (d) Ba cheart an deis a thabhairt don mhúinteoir a c(hh)ás a phlé leis an mBord. Bheadh cead ag an múinteoir cara a thabhait leis/léi chuig a leithéid de chruinniú. (e) D’fhéadfadh an Bord Bainistíochta cruinniú a eagrú leis an ngearánaí má tá siad den tuairim go bhfuil a leithéid de chruinniú riachtanach. (f) Caithfear an cruinniú a eagrú i (d) agus (e) thuas a reachtáil laistigh de 10 lá ón gcruinniú atá luaite i 3.1. 5.1 Nuair atá an fiosrúchán déanta ag an mBord Bainistíochta, ba cheart don Chathaoirleach cinneadh an Bhoird a chur i scríbhinn chuig an mhúinteoir agus chuig an ngearánaí laistigh de 5 lá ó chruinniú an Bhoird. 5.2 Is ag an mBord a bheidh an focal deiridh. Caithfear an cinneadh deireanach a chur in iúl laistigh de 35 lá scoile ar a mhéad. On matters of professional competence and which are referred to the Department of Education and Skills or the Teaching Council. Frivolous or vexatious complaints which do not impinge on the work of the teacher. Complaints in which either party has recourse to law or other existing procedure. Unwritten complaints not in the above categories may be processed informally as set out in Stage 1 of this procedure. A parent/guardian who wishes to make a complaint should approach the class teacher with a view to resolving the complaint. Where the parent/guardian is unable to resolve the complaint with the teacher, he/she should approach the Principal. If the complaint is still unresolved, the parent/guardian should raise the matter with the Chairperson of the Board of Management with a view to resolving it. 2.1 If a complaint is still unresolved, the complaint should be lodged in writing to the Chairperson of the Board of Management. 2.2 The Chairperson should bring the precise nature of the written complaint to the notice of the teacher and seek to resolve the matter within 5 days of the receipt of the written complaint. 3.1 If the complaint is not resolved informally, the Chairperson should supply the teacher with a copy of the written complaint and arrange a meeting with the teacher and where applicable the Principal teacher with a view to resolving the complaint. 3.2 Such a meeting should take place within 10 days of the receipt of the written complaint. 4.1If the complaint is still not resolved, the Chairperson should make a formal report to the Board within 10 days of the meeting referred to in 3.1 above. 4.2 If the Board considers that the complaint is not substantiated, the teacher and the complainant should be so informed within 3 days of the Board meeting. (a) The teacher should be informed that the investigation is proceeding to the next stage. (b)The teacher should be supplied with a copy of any written evidence in support of the complaint. (c) The teacher should be requested to supply a written statement to the Board in response to the complaint. (d) The teacher should be afforded the opportunity to make a presentation to the Board. The teacher is entitled to be accompanied and assisted by a friend at any such meeting. (e) The Board may arrange a meeting with the complainant if it considers such to be required. (f) The meeting of the Board referred to in (d) and (e) will take place within 10 days of the meeting referred to in 3.1 (b). 5.1 When the Board has completed its investigation, the Chairperson should convey the decision of the Board in writing to the teacher and complainant within 5 days of the meeting of the Board. 5.1 The decision of the Board shall be final. 5.2 The maximum period of time is 35 days to the notification of the final decision. 1. Tá glactha ag an mBord Bainistíochta le 'Nósanna Imeachta maidir le Caomhnú Leanaí i mBunscoileanna agus i Scoileanna Iarbhunscoile' na Roinne agus déanfar a gcur i bhfeidhm go hiomlán, gan athrú gan leasú, mar chuid den pholasaí ginearálta maidir le caomhnú leanaí. 2. An Duine Idirchaidrimh Ainmnithe (DIA): Éamon Ó Deagha (Príomhoide) . 3. An Leas-Dhuine Idirchaidrimh Ainmnithe (Leas-DIA): Róisín Ní Chearúil (Príomhoide Ionaid). Cloífidh an scoil leis na prionsabail thuas freisin i ndáil le haon dalta fásta lena mbaineann soghontacht speisialta. Tá sé cinntithe ag an mBord go bhfuil na polasaithe, prótacail nó cleachtais, de réir mar is cuí, curtha i bhfeidhm i ndáil le gach ceann de na rudaí thuasluaite. 6. Cuireadh an polasaí seo ar fáil d'fhoireann na scoile agus do Chumann na dTuismitheoirí agus tá sé ar fáil go héasca ag tuismitheoirí ach a iarraidh. Cuirfear cóip den pholasaí seo ar fáil don Roinn agus don phátrún sa chás go n-iarrtar é. 7. Déanfaidh an Bord Bainistíochta an polasaí seo a thabhairt faoi athbhreithniú uair in aghaidh na scoilbhliana. Rinne an Bord Bainistíochta athbhreithniú an bpolasaí seo ar an 05/09/2016 . Ní mór don Bhord Bainistíochta, uair in aghaidh na scoilbhliana, tabhairt faoi athbhreithniú ar an bpolasaí maidir le caomhnú leanaí agus an liosta seiceála seo a leanas a úsáid chun na críche sin. Tá an liosta seiceála leagtha amach mar dheis cúnta le linn athbhreithniú a dhéanamh agus níl i gceist gur liosta ollchuimsitheach atá ann. D'fhéadfadh gur mhian le Bord Bainistíochta faoi leith nithe éagsúla eile a bhfuil tábhacht faoi leith leo maidir leis an scoil áirithe sin a chur lena bhfuil ar an liosta seiceála seo. Mar chuid de phróiseas iomlán an athbhreithnithe, ba cheart don Bhord Bainistíochta chomh maith polasaithe, gnáis oibre agus gníomhaíochtaí eile de chuid na scoile a mheas i ndáil lena gcloí le prionsabail an dea-chleachtais maidir le caomhnú leanaí agus leas leanaí mar atá leagtha amach i bpolasaí na scoile maidir le caomhnú leanaí. An bhfuil glactha go foirmeálta ag an mBord le polasaí maidir le caomhnú leanaí atá ag teacht le 'Nósanna Imeachta maidir le Caomhnú Leanaí i mBunscoileanna agus i Scoileanna Iarbhunscoile'? Mar chuid de pholasaí na scoile maidir le caomhnú leanaí, an bhfuil glactha go foirmeálta ag an mBord, gan athrú ná leasú, leis na 'Nósanna Imeachta maidir le Caomhnú Leanaí i mBunscoileanna agus i Scoileanna Iarbhunscoile'? An bhfuil DIA agus Leas-DIA ceaptha faoi láthair? An bhfuil na sonraí comhfhreagrais a bhaineann le hábhar (FSS agus an Garda Síochána) ar fáil go héasca? An bhfuil cúrsa oiliúna maidir le caomhnú leanaí déanta ag an DIA? An bhfuil cúrsa oiliúna maidir le caomhnú leanaí déanta ag an Leas-DIA? An bhfuil aon chomhalta den Bhord Bainistíochta a d'fhreastail ar chúrsa oiliúna maidir le caomhnú leanaí? 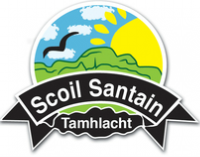 An bhfuil polasaithe, modhanna oibre nó beartaíocht eile de chuid na scoile sonraithe i bpolasaí na scoile maidir le caomhnú leanaí mar gheall go meastar tábhacht faoi leith leo maidir le caomhnú leanaí sa scoil seo? An bhfuil cinntithe ag an mBord go bhfuil 'Nósanna Imeachta maidir le Caomhnú Leanaí i mBunscoileanna agus i Scoileanna Iarbhunscoile' na Roinne ar fáil ag gach duine d'fhoireann na scoile? An bhfuil socruithe déanta ag an mBord ionas go gcuirtear polasaí na scoile maidir le caomhnú leanaí in iúl do dhaoine nua ar fhoireann na scoile? An bhfuil an Bord cinnte gur cuireadh gach duine d'fhoireann na scoile ar an eolas faoina leagtar de fhreagracht orthu faoi na 'Nósanna Imeachta maidir le Caomhnú Leanaí i mBunscoileanna agus i Scoileanna Iarbhunscoile'? Ón tráth a ndearna an Bord an t-athbhreithniú deireanach, an bhfuil aon tuairisc maidir le caomhnú leanaí ar cuireadh in iúl don Bhord ina leith gur thug an DIA tuairisc faoi do FSS nó don Gharda Síochána? Ón tráth a ndearna an Bord an t-athbhreithniú deireanach, an bhfuil aon chás ar cuireadh in iúl don Bhord ina leith gur iarr an DIA comhairle ar FSS agus mar gheall ar an gcomhairle sin, nach ndearnadh aon tuairisc a thabhairt do FSS? An bhfuil tuairiscí maidir le caomhnú leanaí a cuireadh faoi bhráid an Bhoird breactha mar is cóir i miontuairiscí chruinnithe an Bhoird? An bhfuil an Bord cinnte go ndéantar na taifid ar fad maidir le caomhnú leanaí a chur ar comhad mar chóir agus a choinneáil i dtaisce go sábháilte? An bhfuil cinntithe ag an mBord gur cuireadh polasaí na scoile maidir le caomhnú leanaí ar fáil do Chumann na dTuismitheoirí (más ann dá leithéid)? An bhfuil cinntithe ag an mBord go bhfuil polasaí na scoile maidir le caomhnú leanaí ar fáil do na tuismitheoirí ar a iarraidh? An bhfuil cinntithe ag an mBord go bhfuil an curaclam OSPS á chur i bhfeidhm go hiomlán sa scoil? An bhfuil an Bord cinnte go bhfuil na 'Nósanna Imeachta maidir le Caomhnú Leanaí i mBunscoileanna agus i Scoileanna Iarbhunscoile' á gcur i bhfeidhm go hiomlán agus go leordhóthaineach sa scoil? An bhfuil sonraithe ag an mBord go bhfuil gné ar bith de pholasaí na scoile maidir le caomhnú leanaí agus / nó a chur i bhfeidhm ar gá feabhas breise ina leith? An bhfuil plean gníomhaíochta lena n-áirítear tráthchláir oiriúnacha curtha ar bun ag an mBord d'fhonn dul i ngleic leis na gnéithe sin de pholasaí na scoile maidir le caomhnú leanaí agus / nó a chur i bhfeidhm ar sonraíodh gur gá feabhas breise ina leith? An bhfuil cinntithe ag an mBord go ndeachthas i ngleic go leordhóthaineach le haon réimse ar sonraíodh le linn athbhreithnithe roimhe seo ar pholasaí na scoile maidir le caomhnú leanaí go bhféadfaí feabhas a dhéanamh ina leith? *I scoileanna ina bhfuil an Coiste Gairmoideachas ina fhostóir, is ar an gCoiste Gairmoideachais atá i gceist atá an fhreagracht na riachtanais sin a chomhlíonadh. Sna cásanna sin, ba chóir an cheist sin a chur i gcrích ar dhul i gcomhairle leis an gCoiste Gairmoideachais. • Go ndearnadh athbhreithniú an Bhoird Bainistíochta ar pholasaí na scoile maidir le caomhnú leanaí a thabhairt chun críche ag cruinniú an Bhoird ar 05/09/2016. • Go ndearnadh an t-athbhreithniú seo de réir an liosta seiceála a leagtar amach in Aguisín 2 le 'Nósanna Imeachta maidir le Caomhnú Leanaí i mBunscoileanna agus i Scoileanna Iarbhunscoile' na Roinne. 1. The Board of Management has adopted and will implement fully and without modification the Department’s Child Protection Procedures for Primary and Post Primary Schools as part of this overall child protection policy. The Board has ensured that the necessary policies, protocols or practices as appropriate are in place in respect of each of the above listed items. 6. This policy has been made available to school personnel and the Parents’ Association and is readily accessible to parents on request. A copy of this policy will be made available to the Department and the patron if requested. 7. This policy will be reviewed by the Board of Management once in every school year. The Board of Management must undertake an annual review of its child protection policy and the following checklist shall be used for this purpose. The checklist is designed as an aid to conducting this review and is not intended as an exhaustive list. Individual Boards of Management may wish to include other items in the checklist that are of particular relevance to the school in question. As part of the overall review process, Boards of Management should also assess other school policies, practices and activities vis a vis their adherence to the principles of best practice in child protection and welfare as set out in the school’s child protection policy. Has the Board formally adopted a child protection policy in accordance with the ‘Child Protection Procedures for Primary and Post Primary Schools’? As part of the school’s child protection policy, has the Board formally adopted, without modification, the ‘Child Protection Procedures for Primary and Post Primary Schools’? Are the relevant contact details (HSE and An Garda Síochána) to hand? Have any members of the Board attended child protection training? Has the school’s child protection policy identified other school policies, practices and activities that are regarded as having particular child protection relevance? Has the Board ensured that the Department’s “Child Protection Procedures for Primary and Post Primary Schools” are available to all school personnel? Has the Board arrangements in place to communicate the school’s child protection policy to new school personnel? Is the Board satisfied that all school personnel have been made aware of their responsibilities under the ‘Child Protection Procedures for Primary and Post Primary Schools’? Since the Board’s last annual review, was the Board informed of any child protection reports made to the HSE/An Garda Síochána by the DLP? Since the Board’s last annual review, was the Board informed of any cases where the DLP sought advice from the HSE and as a result of this advice, no report to the HSE was made? Is the Board satisfied that the child protection procedures in relation to the making of reports to the HSE/ An Garda Síochána were appropriately followed? Were child protection matters reported to the Board appropriately recorded in the Board minutes? Has the Board ensured that the Parents’ Association (if any), has been provided with the school’s child protection policy? Has the Board ensured that the school’s child protection policy is available to parents on request? Has the Board ensured that the Stay Safe programme is implemented in full in the school? Is the Board satisfied that the ‘Child Protection Procedures for Primary and Post Primary Schools’ are being fully and adequately implemented by the school? Has the Board identified any aspects of the school’s child protection policy and/or its implementation that require further improvement? Has the Board put in place an action plan containing appropriate timelines to address those aspects of the school’s child protection policy and/or its implementation that have been identified as requiring further improvement ? Has the Board ensured that any areas for improvement that that were identified in any previous review of the school’s child protection policy have been adequately addressed? *In schools where the VEC is the employer the responsibility for meeting these requirements rests with the VEC concerned. In such cases, this question should be completed following consultation with the VEC. the Board meeting of 05/09/2016.